Fed up of viral WhatsApp posts regarding an eerie, deadly viral fever that spreads through fruits? Maybe. But don’t stop reading about it. Knowing is the first step to manage the virus and the disease it brings. This virus has the strange name of ‘Nipah’, quite a nippy character that is getting into all the open fruits and vegetables you are supposed to consume to keep yourself healthy. Why is Nipah in news now? Nipah hit the headlines because of recent deaths in Kerala, due to brain fever caused by this virus. Also called Henipavirus in the medical world, NiV recently killed 10 people in Kozhikode. News of the first six deaths in the district drew a high-level team from the National Centre for Disease Control (NCDC) to the state, to work on containing the virus and stopping the epidemic. Last Monday, panicky patients swamped Kozhikode Medical College Hospital in northern Kerala, where 10 patients died. Many persons are undergoing treatment and others have been admitted to various hospitals. One attendant nurse died. It is yet to be confirmed whether it was due to the virus or not. The admission of two sick nurses has fuelled fear. Medical officials learnt that two brothers and their aunt had eaten fruits from the ground, caught the virus and died. In Mangalore, a 20-year-old woman and a 75-year-old man are also suspected of having contracted the Nipah virus. They arrived from Kozhikode, after having come in contact with infected patients. Blood samples have been sent to the Manipal Centre for Virus Research. Results are awaited on Thursday. 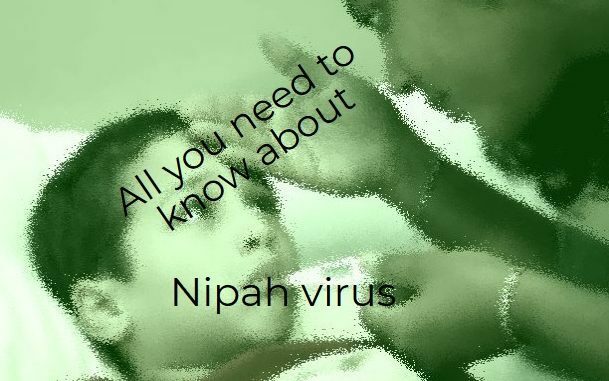 So what is Nipah virus? What can it do? Nipah is a virus that can trigger off a deadly zoonosis, or disease that is transmitted from animals to humans. This was first detected in 1998 at Kampung Sungai Nipah, Malaysia, where it infected 300, killed 100 and stole its name. Has this fever ever affected India earlier? Yes. NiV infected 66 persons and killed 45 at Siliguri, West Bengal, in January and February, 2001. Then it lay low for six years, but again erupted in April 2007, at Nadia, West Bengal, where it infected five persons, all of whom died. It popped up sporadically in Bangladesh in 2010, 2011 and 2012, where it killed totally 64 patients. Right now it has been reported from Kozhikode in Kerala, and is expected to spread to Malappuram and Wayanad. It is dangerous, because it has no known antiviral therapy – so far, at least. It has already killed 11 persons at Kozhikode and Malappuram in the last two days. It has a mortality rate of 70 per cent. It kills when the infection and fever grips you. Who are at high risk of the disease? How can you prevent it from infecting you? Wash your hands if you come in contact with an animal, for you never know which one is infected. Read up about the symptoms and visit the doctor immediately if you feel you are infected. Close the doors of the refrigerators and cover the boxes of vegetables, fruits and other food grains. Don’t touch, contact or go near pig handlers. If you do, maintain cleanliness. What are the symptoms? What happens to an infected person? How is it diagnosed, and by whom? NiV is diagnosed by ELISA test at the National Institute of Virology, Pune. There are other private labs too. How can Nipah fever be cured? Prevention is the best cure for this at this stage. There is no approved therapy for this illness. Patients can only get supportive care and intensive care monitoring. Patients have to be isolated and treated. If you happen to feel feverish, do not neglect it – get the symptoms treated without any delay and take enough rest. Is isolation being followed in Kozhikode? Will the virus hit nearby states? We don’t know yet. NiV might hit Mangaluru and Ullal due to increased number of people commuting from Kerala to Karnataka through road and trains. There are no reports of Nipah infections from Bengaluru, Chennai or other cities yet. Doctors in Bengaluru and elsewhere only counsel people not to travel to Kozhikode or affected areas. Meanwhile, all the hospitals in Karnataka have been put on red alert, and fever cases are being examined closely. Hospitals in the border areas of Dakshina Kannada have been asked to immediately inform the authorities if they stumble upon any case. Dr K. Ravi Kumar, Senior Regional Director, Regional Office for Health and Family Welfare, Bengaluru, says that there is really no cure for fever caused by Nipah virus so nothing can really be done about it. “We have asked all the hospitals to keep a close watch on anyone showing symptoms of the illness,” he explains. “It is very important that a diagnosis should be quickly made, but the patient should also be kept away. There should not be any bodily contact with the patient, so that the virus does not spread.” The state is on high alert right now. In Dharwad city in North Karnataka, health officials have asked that pigs in the city be driven outside the city. In Kerala bats were culled in order to make sure the virus is contained. Telangana Health Department officials are all on high alert. Their officials have written for information from the National Institute of Virology, Pune and asked for case details from Kerala in order to draft out their plans. All hospitals, medical boards and primary health centres, have been asked to convey news of any fever cases. The Tamil Nadu Health Department confirms that there are “no official records” about the registration of any such cases. There is not even much probability of the virus spreading from far-off Kozhikode. Still, the health department has alerted the border areas to sound the alarm if any patient is found. The veterinary and the health departments are just chalking out a detailed chart related to symptoms as well as preventive measures that can be shared with district officials. Goa and Maharashtra have also braced themselves. Passengers from Kerala in buses, trains and aeroplanes are being carefully checked for symptoms of fever or other suspicious signs. They are in constant touch with the Kerala government and have asked their hospitals to be vigilant. Hopefully, the virus would get isolated and be prevented from spreading out. very useful, superbly researched story like always.